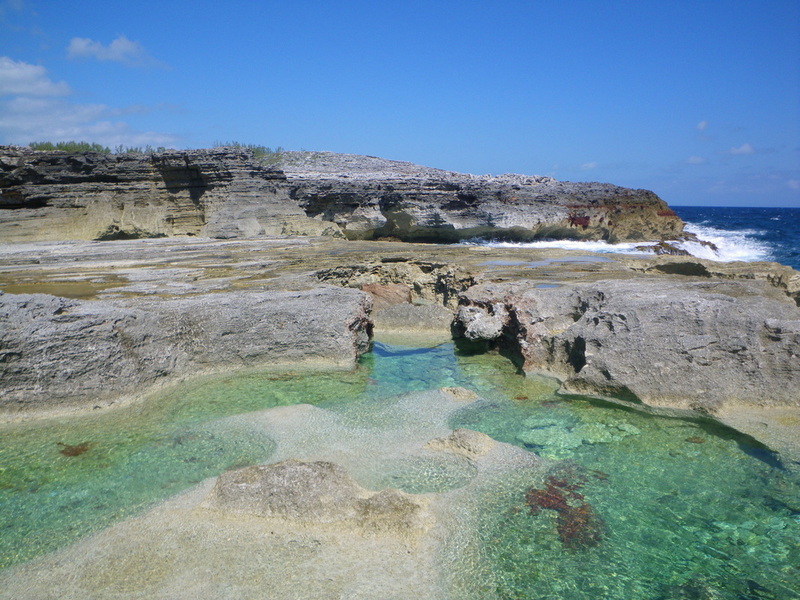 North Central Eleuthera is from the Glass Window Bridge south to the Governor's Harbor Airport. Heading south from the Glass Window Bridge you will pass some beautiful beaches, landmarks, The Cove Resort and the Oleander Gardens housing community before arriving in Gregory Town. Gregory Town is a friendly and quaint little Bahamian town centered around a gorgeous little bay. The pineapple festival, one of Eleuthera’s biggest events is held here around June each year. Gregory Town has a gas station, market, liquor store, a couple of inns, gift shops, a laundromat, and the famous Elvina’s Bar and restaurant. Gregory Town is within close vicinity to surfer’s beach and has a variety of vacation rentals available in the area. If you are planning on doing a lot of surfing or fishing consider staying in the Gregory town area. If you head another five miles south on Queens Highway you will reach the settlement of Alice Town and Hatchet Bay. Hatchet bay is a 360 degree protected harbor and is the only fully protected harbor on the island. It used to be a lake alongside the Alice Town settlement. In the 1940’s a 90 foot inlet was cut out of the rock, connecting the lake to the ocean and forming Hatchet Bay, which is now known as “the country’s safest harbor”. The Alice Town settlement, frequently referred to as Hatchet Bay, is a small traditional Bahamian settlement, that houses a laundromat, post office, a couple of markets, bars and a couple of excellent restaurants. Four more miles down the road is Rainbow Bay. It is not a true settlement but more of tight knit a housing community. Rainbow Bay is home to numerous seasonal residents and vacation rentals. There is an excellent inn and restaurant on the north end called the Rainbow Inn. On the south end there is a market and take-a-way restaurant. Not far past the southern end of Rainbow Bay you arrive at a friendly little waterfront settlement called James Cistern. The legend of the discovery of James Cistern supposedly comes from a Captain James whose ship ran aground just north of what is now James Cistern. Desperate for fresh water he discovered a blue hole in the location of the current James Cistern settlement, one which supposedly is still used to supply fresh water to the residents today. The settlement was officially named after Sir James Carmicheal Smythe, and abolitionist and the Governor from 1829-1835, whose was pivotal in promoting the well being of freed slaves. It is currently home to the Bahamas Methodist Habitat, who is one of the main lifelines on the island for disaster relief and housing assistance for low income families throughout the islands. James Cistern is an incredibly friendly little settlement with a couple of the best authentic Bahamian bars and restaurants on the island. Just the spectacular beauty of this quaint little settlement right on the water is worth driving through.